March 6th, 2015 marked a 50’s themed “Affair to Remember” for the annual fundraising gala for Canada’s National Ballet School, supporting and cultivating the talents of the next generation of the brightest dance artists. Taking place again at The Carlu, an elegant reception took place in the lobby with hors d’oeuvres and cocktails. Following the reception was a seated dinner while taking in a special performance by NBS students, just a wonderful sampling of the talents developed at the school. After the dinner and performance there was a raffle where our friend James Temple won the award for best dressed and also a ruby necklace in the luxury raffle. Congrats, James! 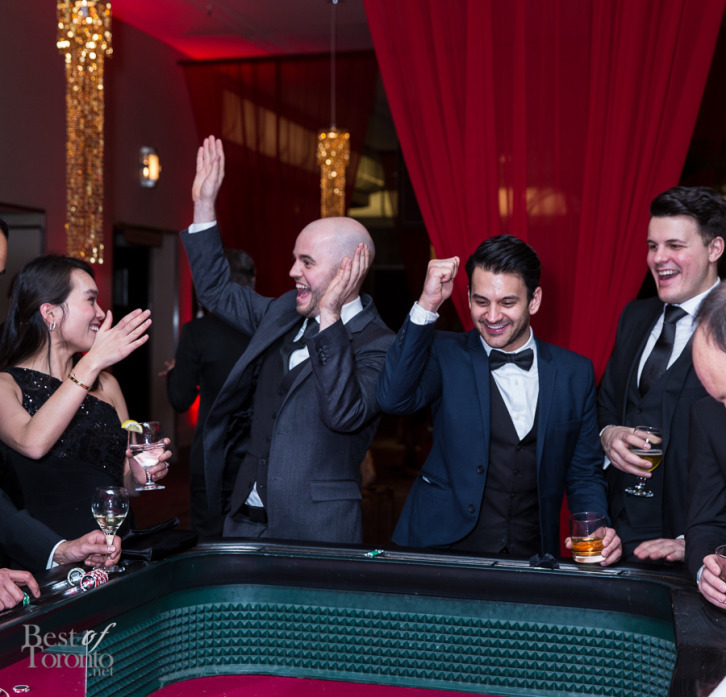 Then the night ended with a top notch reception with a bustling and large casino where 500 glamorously-dressed patrons got together for a great night. It’s always an important night for the National Ballet School, as the gala raises funds to provide financial assistance to NBS and plays a key role in the School’s annual fundraising, raising 35% of the annual goal in a single night. They ensure NBS continues to demonstrate the relevance of dance, through its capacity to enhance quality of life for every member of society, regardless of age or state of health. James Temple (best dressed) matches his bow tie with his lining. Also check out our photos from the NBS Gala 2014 and NBS Gala 2013.